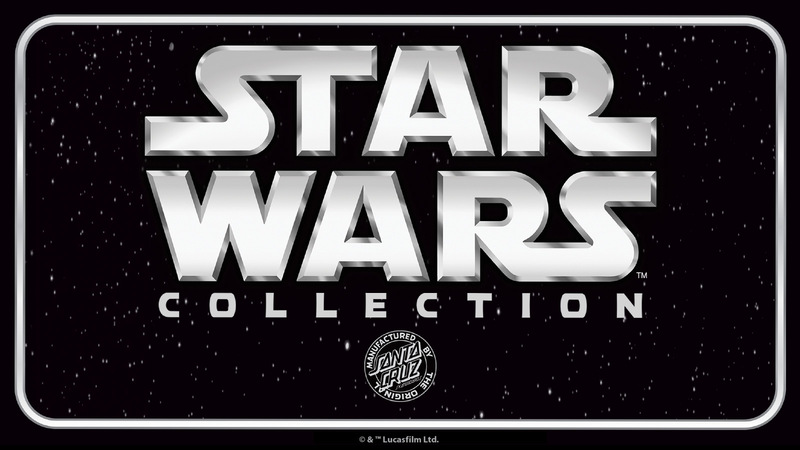 Santa Cruz has released solicitation information for a couple of new skateboard decks based on Star Wars: The Force Awakens. 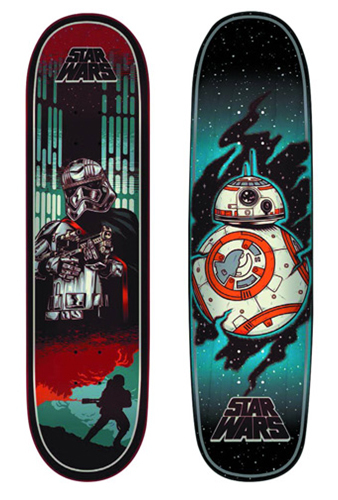 The two new Star Wars: The Force Awakens skateboard decks feature BB-8 and Captain Phasma. 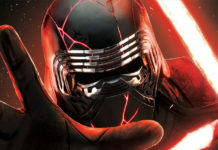 Both Captain Phasma and BB-8 are scheduled for release in April 2016 and should cost you around $80.00 per deck. Roll with astromech ball droid BB-8! From Santa Cruz Skateboards, in collaboration with Lucasfilm. BB-8 is shown against a star background. 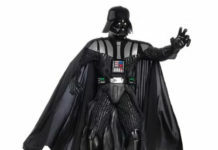 Inspired by Star Wars: Episode VII – The Force Awakens. What better image for a skateboard than that of ball droid BB-8? Santa Cruz Skateboards, in collaboration with Lucasfilm, presents this Star Wars: Episode VII – The Force Awakens BB-8 Skateboard Deck. Known for some of the most iconic graphics in skateboarding history, Santa Cruz created an exclusive vintage-inspired interpretation of one of your favorite characters! BB-8 can be seen on a star background on the beautifully made deck. It’s awesome! A skateboard deck of the First Order! 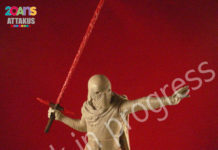 Features Captain Phasma with a Flametrooper. Santa Cruz Skateboards, in collaboration with Lucasfilm, presents this Star Wars: Episode VII – The Force Awakens Captain Phasma Skateboard Deck. Known for some of the most iconic graphics in skateboarding history, Santa Cruz created an exclusive vintage-inspired interpretation of one of your favorite characters! Captain Phasma is seen on the beautifully made deck with a Flametrooper below her.